Southampton (United States) (AFP) - It's been 14 years since Shinnecock Hills became the symbol of the grinding challenge of the US Open Golf Championship. 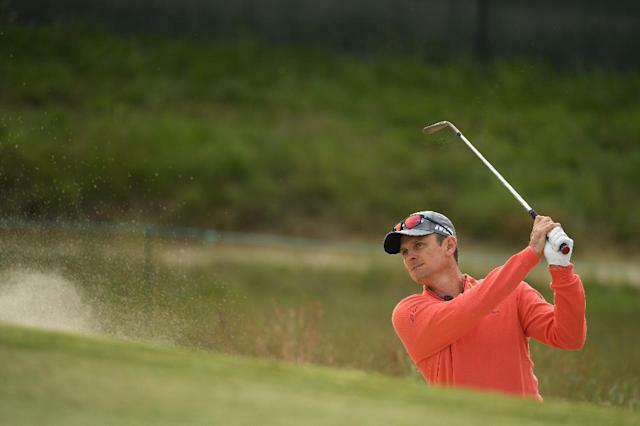 Justin Rose was not a fan -- and he wasn't even around for the brutal weekend conditions that by Sunday of that year rendered some holes virtually unplayable. The Englishman, who missed the cut in 2004 "didn't have the fondest memories of the place". But all that's changed now as Rose and his rivals prepare to tee off on Thursday in the 118th US Open on a longer, wider, generally more generous Shinnecock. "Obviously, there's a lot of severe places where the run-offs take the ball a long way away from the pin, but I think there's room to play it, which I think is going to be fun for everybody this week," Rose said. McIlroy, too, thinks Shinnecock will provide the searching test that US Golf Association officials desire, without teetering into what Phil Mickelson called "carnival golf". Wider fairways, rebuilt greens and new tees have added length and openness to the course -- all with an eye toward the original intentions of architect William Flynn. USGA chief executive Mike Davis said the fairways had been even wider, but officials last year decided to narrow some of them -- a move widely seen as a response to Brooks Koepka's 16-under par winning total at Erin Hills. "We tried to do it being very respectful to the original William Flynn intent and angles and keeping bunkers in play," Davis said. "Honestly, I think they've got it right," McIlroy said. "It presents guys with options off the tee. You have to make a decision basically on every tee box what you're going to do. "Obviously, it's generous off the tees for the most part, but if you miss the fairways, you're going to get punished heavily," McIlroy added, aware of the hip-high fescue waiting to gobble up the most errant shots. "So it's just about making sure you put your ball in the right place off the tee, and then really just putting your ball in the right place on the greens." "You have to think about, when you miss, where the ball may bounce and roll to," Davis said. "It certainly gives players more options, whether they want to try to recover with a putter, a bump and run, or a pitch." "At the end of the day, like every US Open, it's going to come down to just total control of your golf ball and minimize the mistakes," Thomas said.